European aircraft manufacturer Airbus was first shown assembled and ready to fly unmanned electroanalyt with vertical takeoff and landing Vahana. The aircraft now testing on the tarmac in Oregon, USA. It is a single unit with the autopilot, which is planned as a VTOL-taxi. In General, if you read "one Hundred years ahead" or watched "the Guest from the future" is such an analogy there of flips, but without anti-gravity (yet?). As the developers expect, such transport will relieve highway and solve the problem of traffic jams. At the same Vahana has a size not exceeding that of a normal car. As stated in the blog the head of Airbus group Zach Lovering, this is only a prototype. The final version may look different. As expected, the first test flight will take place before the end of 2017, and the first production-ready sample the creators promise to introduce by 2020. The company announced Bose wireless headphones Sleepbuds ("buddies sleep") that can improve the overall quality of user's sleep by silencing of third-party sounds from outside. This device can be maintained at the site of the development project on Indiegogo. According to the company, more than half of adults have some problems with a healthy flow of sleep affects overall health. These headphones stub can boast a built-in alarm clock function and to drown out the sound during sleep, you can play music for them, relaxing the body and mind, and at the same time, third-party masking noise that prevents a healthy flow of the process of sleep. The volume level is playable tracks can be adjusted to the earplugs. The first delivery will start in the first quarter of next year, and most copies of the first, quite limited batch has already been pre-ordered by many buyers. It should be noted that the site development project for the production of this product was only $ 50,000, and all interested users donated for the production Sleepbuds $ 400,000. Let us add that stated the cost of a pair of earplugs provided in 250 American dollars. The technology developed at the University of Waterloo in Canada, allows SHI-algorithms to operate locally on mobile devices. According to the researchers, it does not require an Internet connection and access to cloud computing, writes Eurek Alert. In the work presented at the International conference in Venice, the researchers achieved a 200-fold reduction in the size of software AI, which is used for object recognition. New software for deep learning, created using this technology, small enough to fit on an ordinary mobile chip and can be used everywhere: from smartphones to industrial robots. Built-in smartphone, the new "compact" AI will be able to run your own virtual assistant with speech recognition. This will significantly reduce data usage and enable you to use AI features in areas without Internet. Now SHI-algore rather cumbersome and require large computational capacity. Therefore, sensors are usually only collect data that is then analyzed in the cloud. But if the settlement is passed directly to the hardware – smartphones, cameras and sensors, the analysis process would significantly accelerate. "Code becomes smaller with each generation, to meet the requirements of mobile devices," says Mohammad Javad Closet, Professor of technical studies and system design at the University of Waterloo. According to him, the new technology can be used in unmanned aircraft, surveillance cameras and in production, that is, in those areas where there are problems with streaming of data and require additional protection from leaks. Researchers believe that the use of Autonomous AI can lead to a significant reduction of the costs of processing and data transfer and greater privacy. About this in an interview with Wired said the famous futurist and engineering Director for Google ray Kurzweil. By the way, of the 147 predictions that were made by scientists from the 90-ies, 115 came true and 12 were “essentially correct” (i.e. he made a mistake a year or two). Thus, in his prophecy impressive degree of accuracy – 86%, says Big Think. – We already have technologies that can lead the conversation. As you know, my team at Google has created the smart responses for Gmail so that we write millions of emails. But you need to understand the contents of the letter, on who is responsible. But your question is: when the phone and not to an interview – sort of the equivalent of the Turing test. I believe that passing the Turing test need to have all the flexibility of the human mind. If the judge (the person) will not be able to see the difference, then we priamo artificial intelligence to the human. 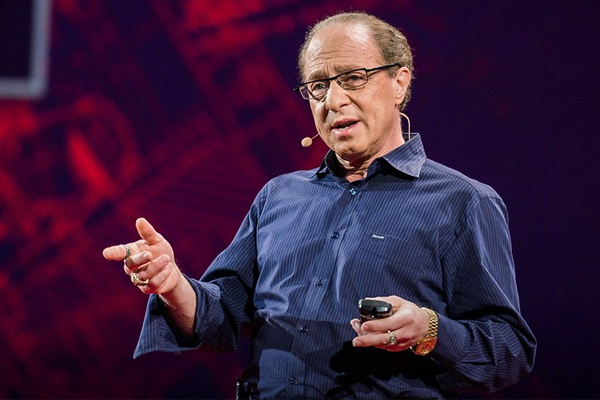 I have always said that we will achieve that by 2029, Kurzweil said. Also, talking about the fact that he is often accused of optimism, ray Kurzweil said: “you have to be to become an entrepreneur. If you are constantly thinking about the problems to be faced, you just fail to start one project. I'm more optimistic than most of my colleagues, but nevertheless there are people that think I'm too conservative. Futurist is confident that we will literally merge with this technology to become smarter. And artificial intelligence makes us smarter. All of these devices are “brain extenders,” and people believe them so. According to him, this new feature, because a few years ago people are different attitude to their smartphones. They literally penetrate our bodies and brains. But actually, it's a fairly arbitrary distinction, because even now, when they are not part of our body, they are already expand our consciousness, make us smarter, – said the technical Director of Google. the new iPhone will release with support for augmented reality. This statement was made by the American company Apple. This happens thanks to special sensors that generate a three-dimensional image. Managers of the Corporation plan to make a mobile device of new generation in 2019. According to the head of Apple, Tim cook, smartphone, augmented reality will forever change technology. Now, if any 3D entity is behind the couch, in the virtual space as it is portrayed standing in front of the chair. It distorts the illusion and spoils the whole effect. The new technology will allow to get rid of this problem. Experts expect the increase in the cost of mobile devices with augmented reality. The demand for novelty is likely to be moderate. Users are willing to shell out big money only for a real breakthrough in technology. In the field of augmented reality such phenomena are not currently seen. Now Apple produces these things called ARKit, but they are not in great demand. A few years ago, the Corporation has set up a special Agency responsible for the development of augmented reality.